Named for Native American word meaning “good valley” or “pleasant valley”. The Genesee Watershed is located within Potter County and the Pennsylvania Wilds. Within the 61,159 acres of the watershed, the Genesee River is the only major waterway. The Genesee River basin is a tributary to Lake Ontario and discharges to a Federal navigation channel at Rochester Harbor and Mount Morris Dam and Reservoir (a federal flood damage reduction reservoir) in Monroe County, New York. 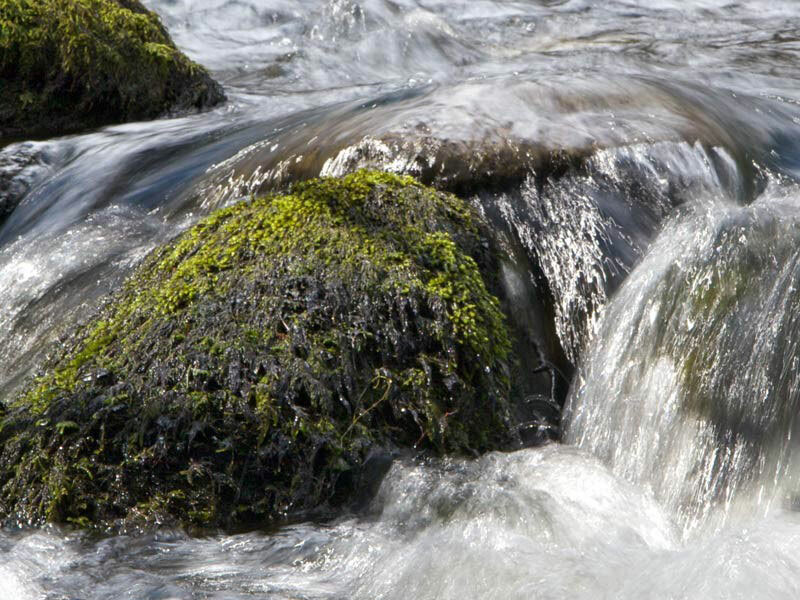 The Genesee Basin includes 24 separate watersheds containing a total of 5,048 miles of streams. The Genesee Basin also includes lakes, ponds and reservoirs (covering 13,288 acres) in the basin. Of these lakes, the four largest (Mount Morris Dam Impoundment and three of the smaller Finger Lakes: Conesus Lake, Hemlock Lake and Honeoye Lake) represent over 80% of the total amount of lake acres in the Genesee Basin. The Genesee River flows 157 miles from its headwaters in Ulysses Township, Potter County, PA to its mouth at Lake Ontario, near Rochester, NY. Along the way, waterfalls within Letchworth State Park (Portageville, NY) and Rochester were once used to provide power to 19th century industries. The largest flood control dam east of the Mississippi River, at Mount Morris, NY, reduces flood damage in the lower Genesee Valley. 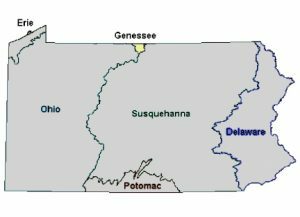 Of its 2,500 square mile watershed, Pennsylvania constitutes only 99 square miles with an estimated population of 2,095 (2000 Census).